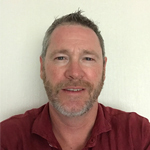 Blair Douglas is the Global Practice Lead for Hydrology and Water for BHP, a Leadership role setting technical direction on water management with the water planning and operational teams across multiple commodities to lift capability and awareness of water related risks and challenges. Prior to this role he was BHPs technical lead for river remediation and recovery efforts at Samarco, Brazil. A hydrogeologist by training and with over 25 years experience in the mining industry, he has held technical and management roles at multiple operation globally, specifically in the field of mine dewatering, pit slope depressurisation, mine water management and more recently in characterizing and managing regional and cumulative water resource impacts. He directed technical studies, water related approvals and Regulatory negotiations for BHP iron ore growth phase from 2009 to 2015. Prior to joining BHP, Blair worked as a consultant in Australian mines and the large copper and gold operations of Chile, Peru and Indonesia.